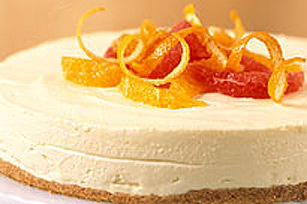 Makes 12 servings, 1 mini cheesecake (80 g) each. Beat cream cheese and sugar in large bowl with mixer until well blended. Add syrup; mix well. Add eggs, 1 at a time, mixing on low speed after each just until blended. Separate cookie halves, using small knife to help slice through filling. Place 1 cookie half, icing-side up, in each of 12 paper-lined muffin cups; cover with cream cheese batter. Sprinkle with nuts; press lightly into batter. Bake 17 to 20 min. or until centres are almost set. Cool 1 hour. Refrigerate 4 hours. 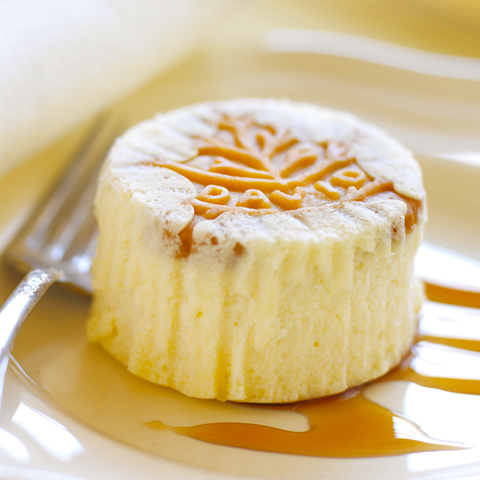 Remove paper liners; invert cheesecakes onto dessert plates to serve. Serving SuggestionFor an extra-special presentation, drizzle each plate with 1 tsp. additional maple syrup before topping with cheesecake. 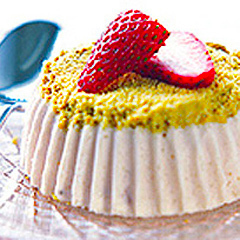 Size-WiseDessert can be part of a balanced diet, but remember to keep tabs on portions.